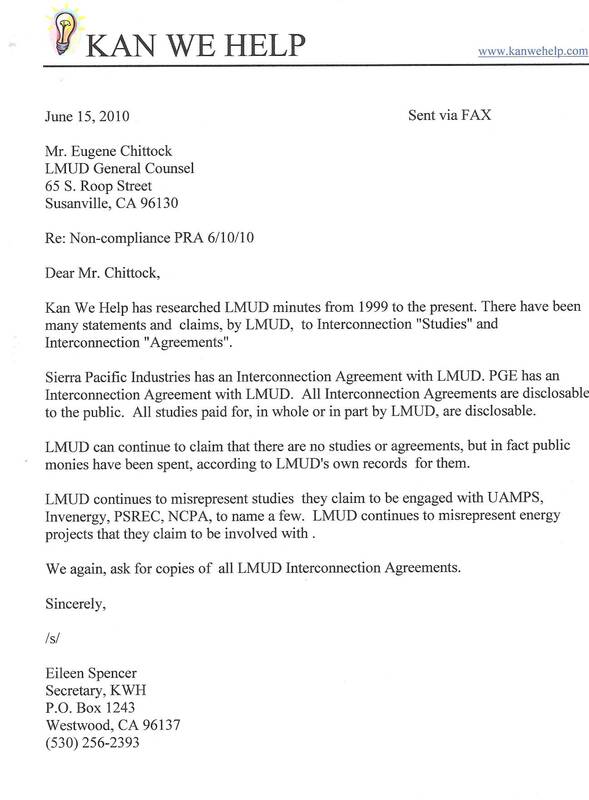 6/15/10: LMUD General Counsel says that LMUD has no Interconnection Agreements even though LMUD has Interconnection Agreements with SPI and PGE. LMUD has ,for years, boasted about paying for Studies they did, but now don't exist, Agreements that they have , that now don't exist. Non-Compliance: LMUD claims that these studies exist but are not in their possession. 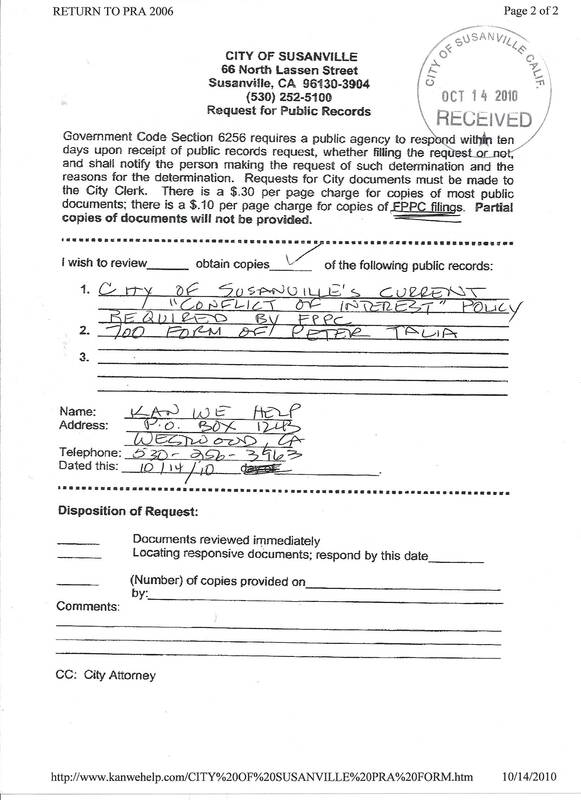 Public records require that they get them and release them. 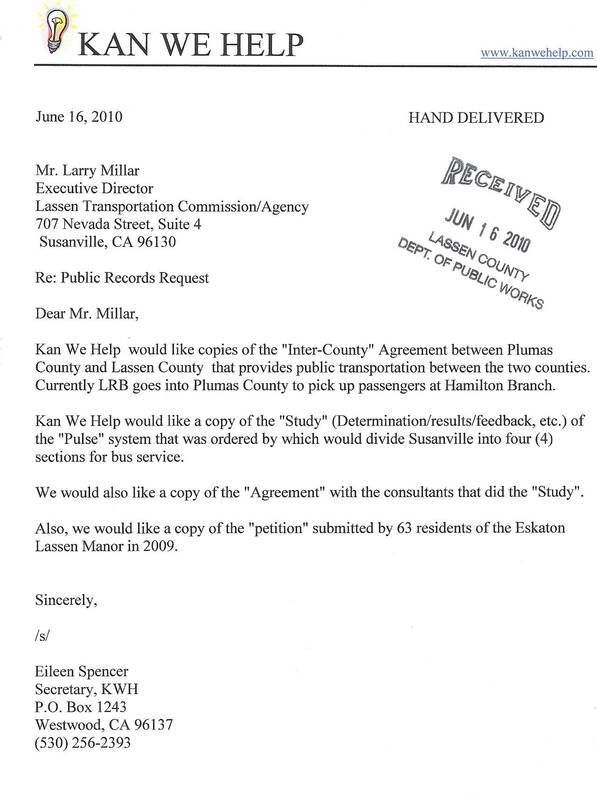 Frank Cady moved documents to his office so that he could state LMUD did not have possession. This is still illegal. 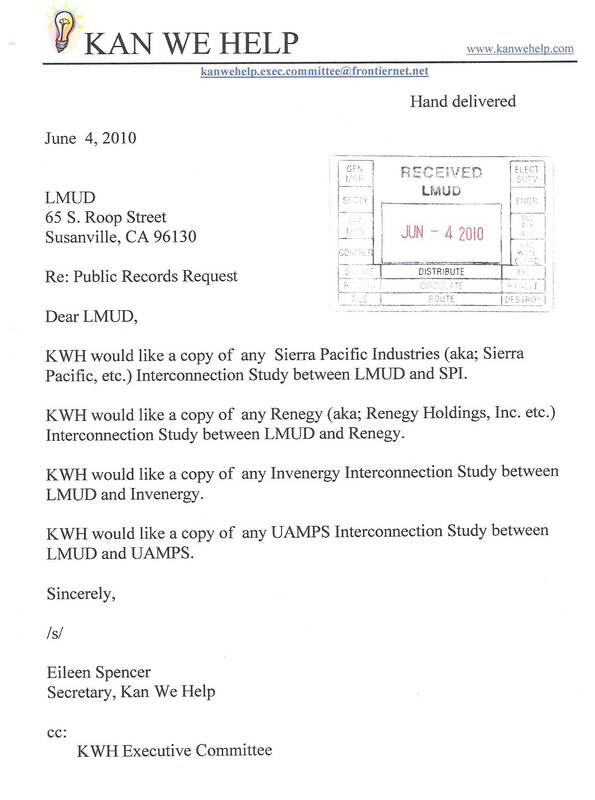 6/15/10: LMUD General Counsel says that LMUD has no Interconnection Agreements even though LMUD has Interconnection Agreements with SPI and PGE, Amedee. LMUD has ,for years, boasted about paying for Studies they did but now don't exist, Agreements that they have , that now don't exist. 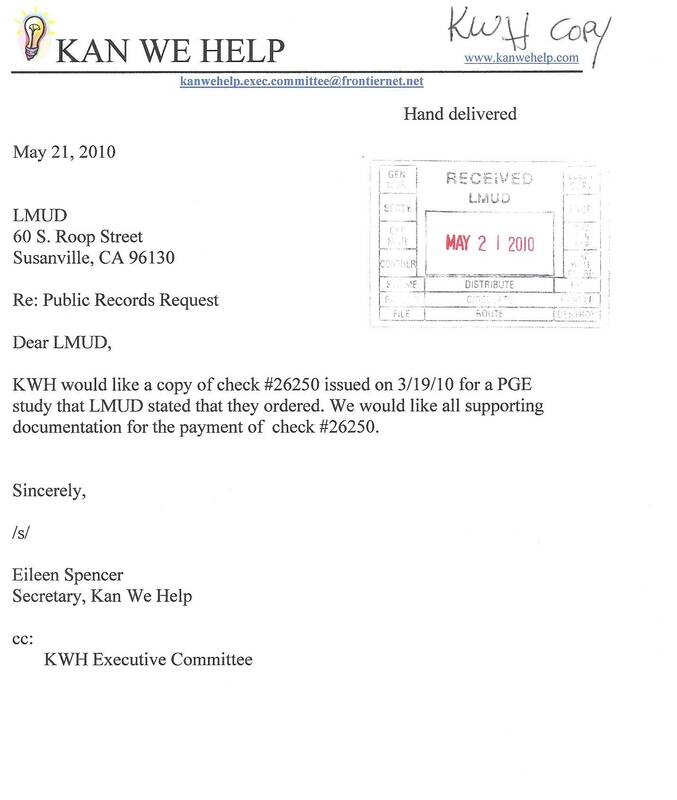 June 4, 2010: LMUD sent another copy of this check. 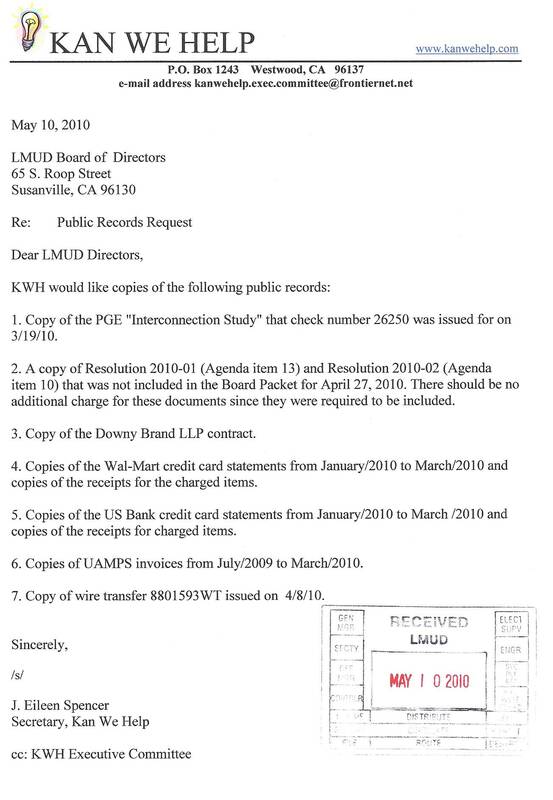 The signatures were uncovered, but other public information remained covered. 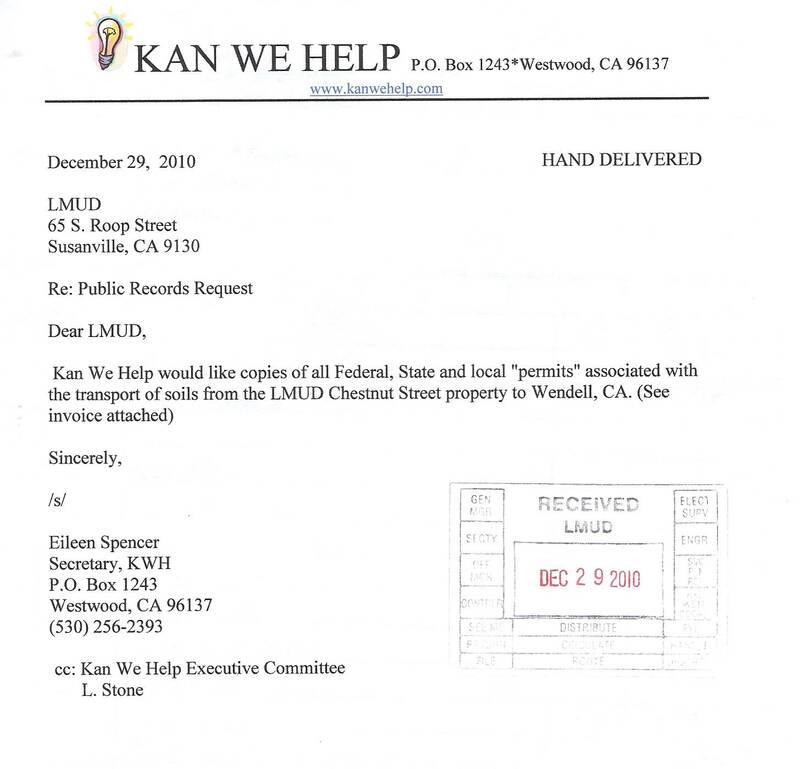 LMUD cannot redact (cover up) any of this information. 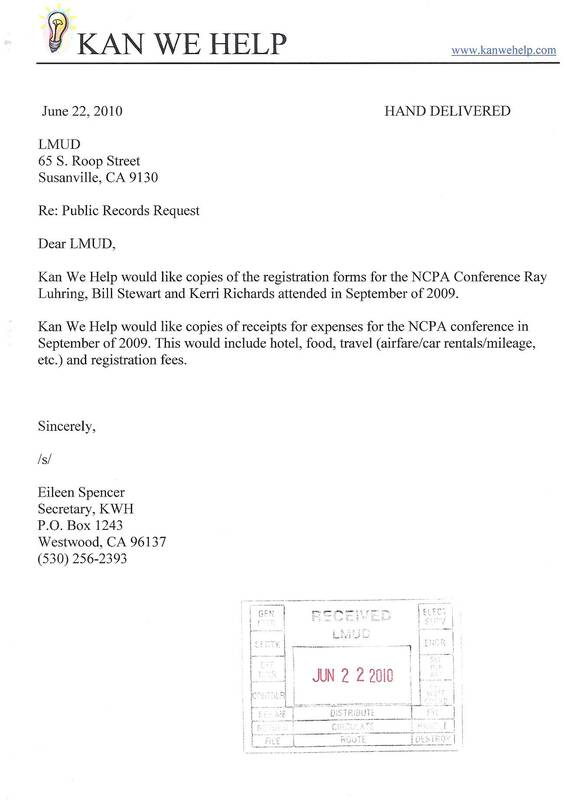 LMUD sends thousands of checks out each year. 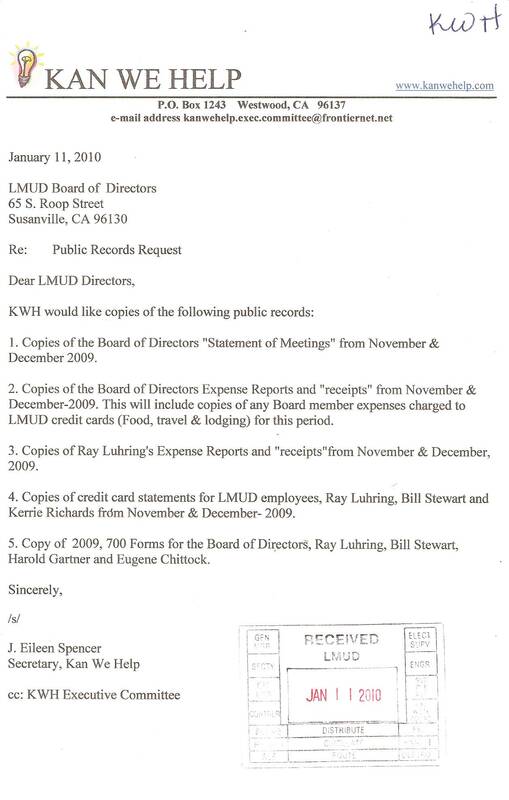 All information on this check was disclosable. 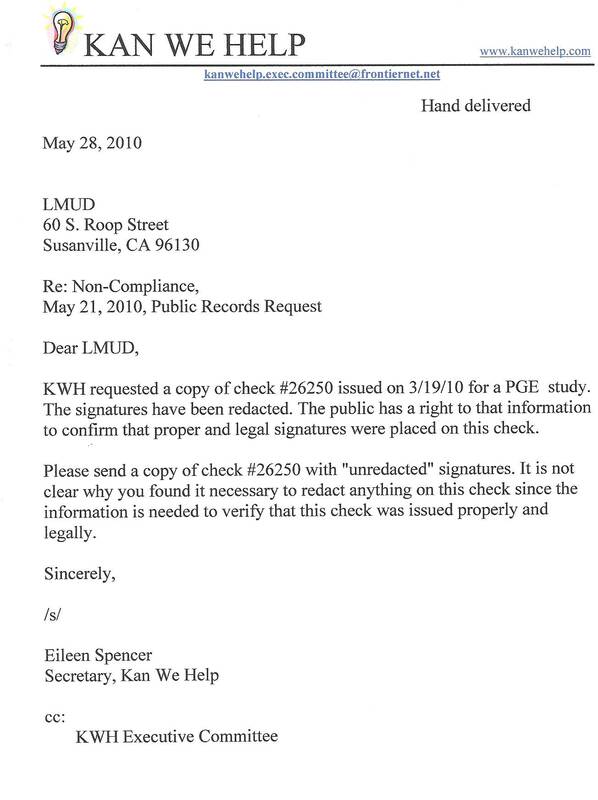 The $30,000 check to PGE was a "pass through" of money issued to LMUD from a $30,000 check from Nature's Energies. This company is located in Minnesota. 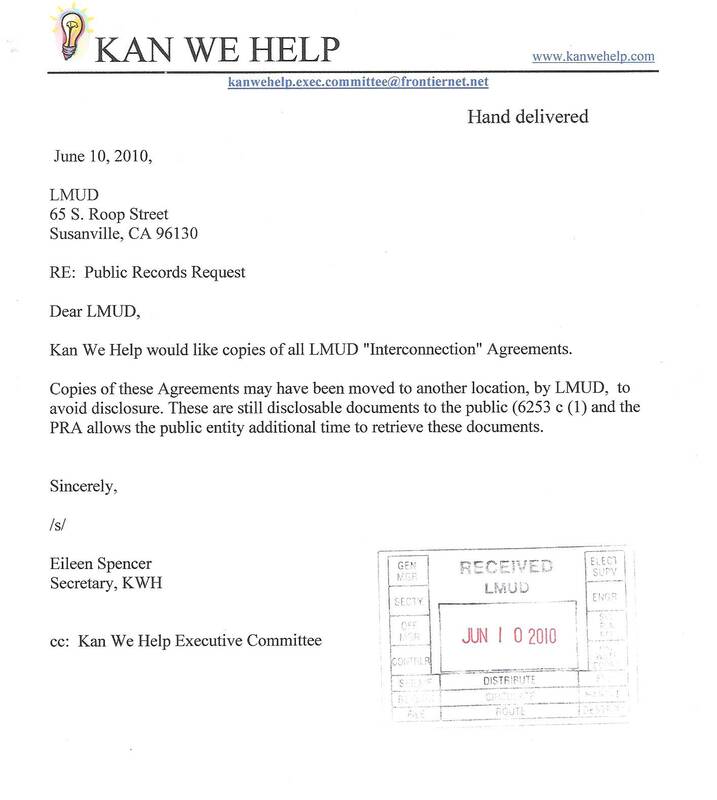 This company bought the Sierra Pacific land in Susanville. 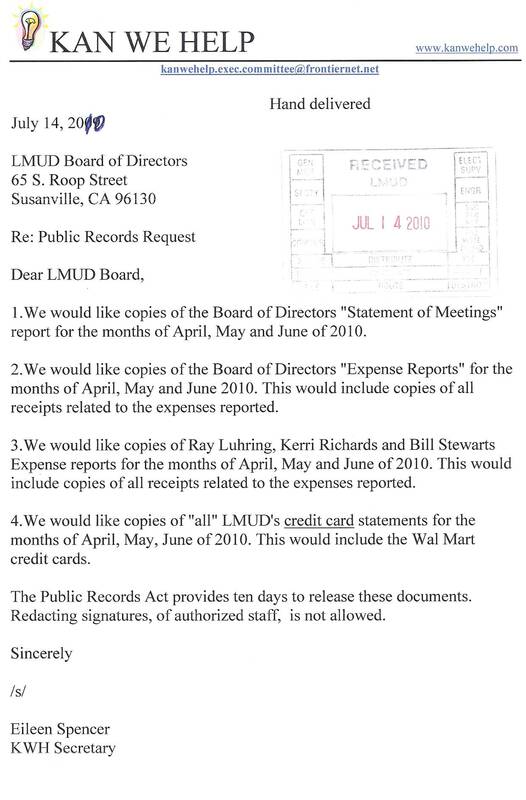 The documents were heavily redacted by LMUD. 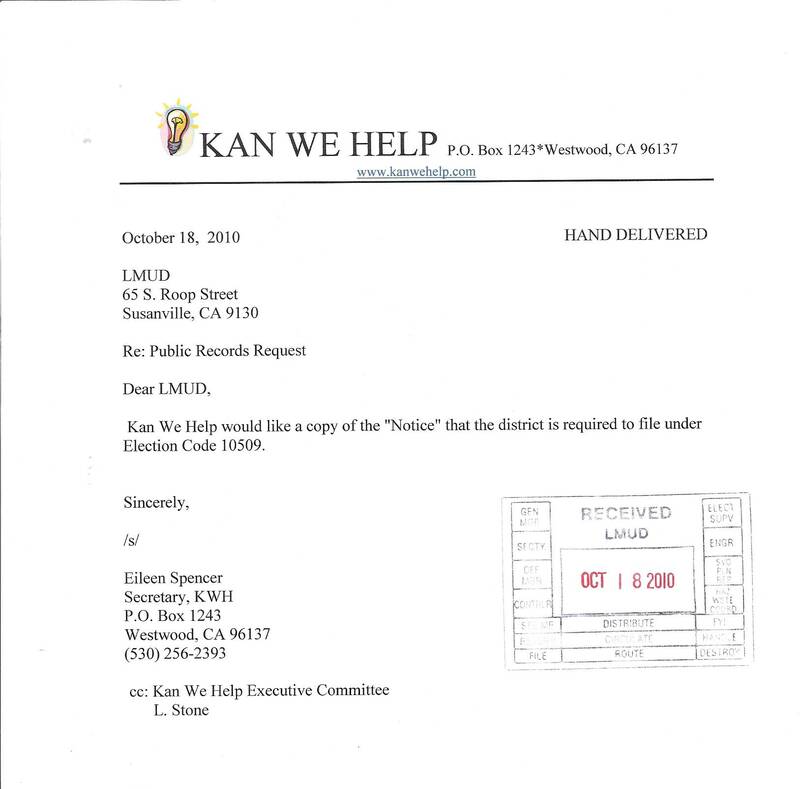 Lassen Municipal Utility District writes a $30,000 check to PGE for a "study" and claims that it is not in their possession. 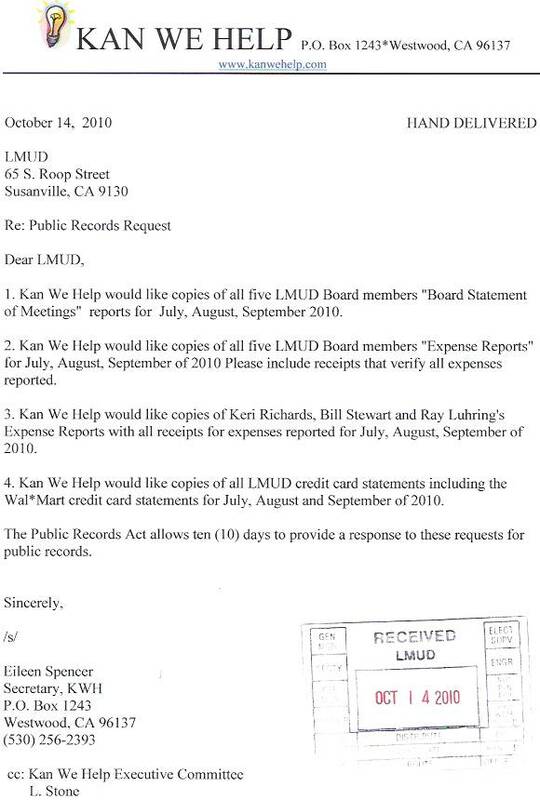 History has indicated that these LMUD studies never existed or the money spent was on something other than a "study". 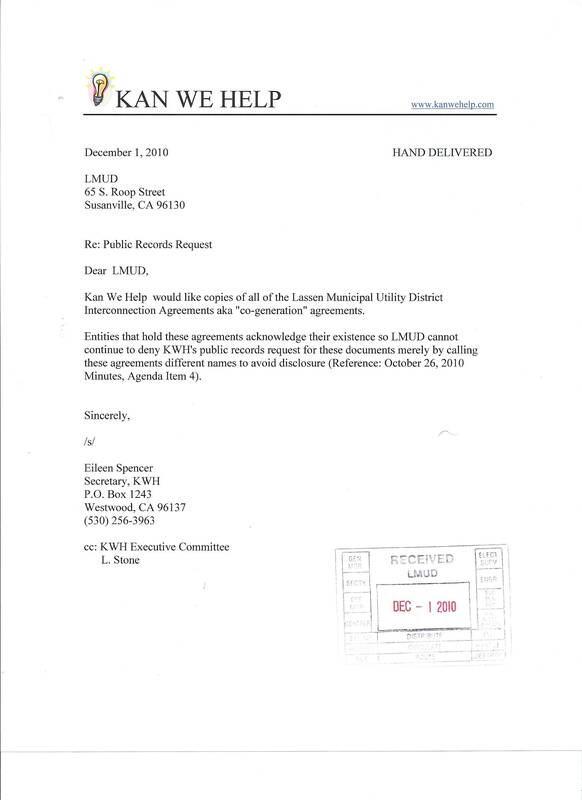 We anticipated that LMUD would refuse to release the alleged PGE "Study". Now we will find out what the $30,000 was for. 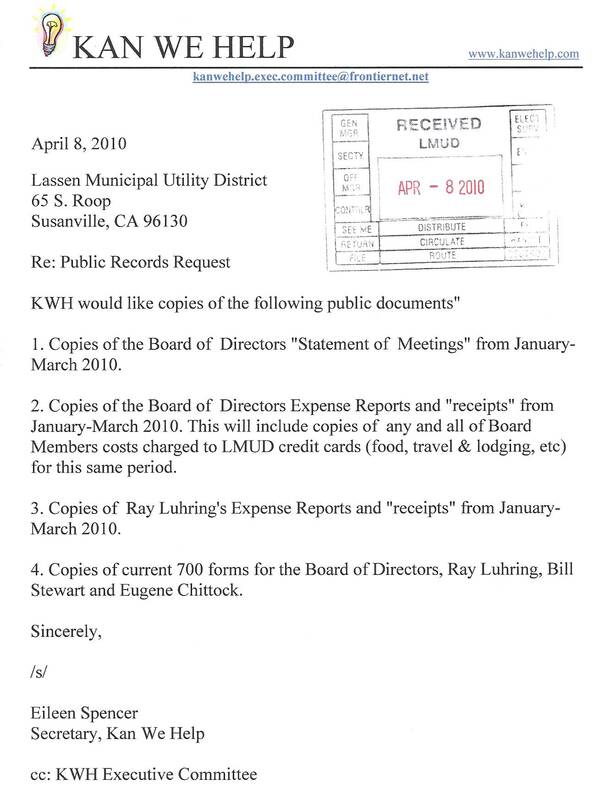 Also, LMUD did not include the two Resolutions (2010-01 or 2010-02) in their March 23, 2010 Board Packet, nor did they agendize these Resolutions.